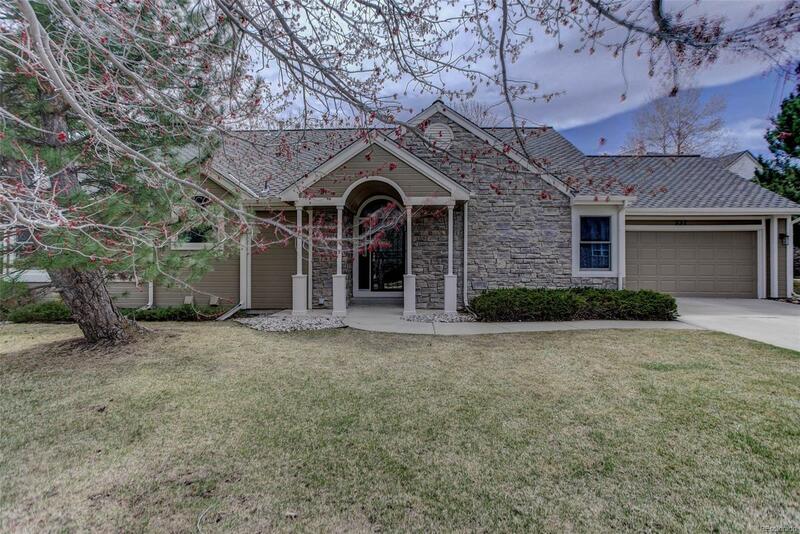 The pride and care of this 1 owner, classic ranch home in âThe Springs at Coal Creekâ with its bright, inviting open floor plan and vaulted ceilings can be seen throughout. Freshly painted: interior & exterior, with newly updated light fixtures, hardware, carpet and GE SS appliances w/gas range - all just installed. Anderson windows, roof replaced 2018, oversized Trex deck with 2 patio doors, perfect for enjoying the cul-de-sac water feature. 2 car attached garage with built in cabinets. 1600SF basement with a large rec room, bdrm, full bath, work area, cedar closet & work area. Without a doubt this is best homesite in the community. Easy access to Old Town on the Coal Creek trail and Heritage Park and to I-36 Boulder/Denver, shopping and dining.